SNOWYMOVIES.COM.AU :: It's Hollywood in the Snow! Give the gift of movies and save while you do do. 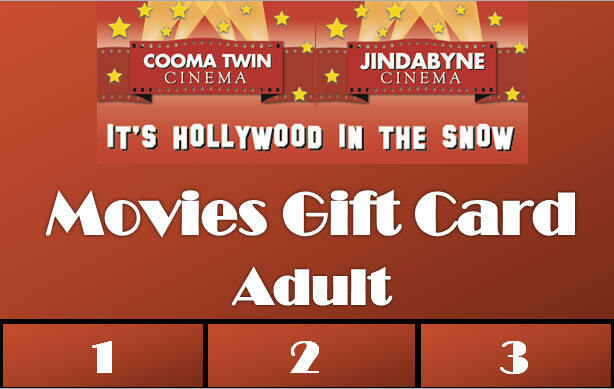 Three movie tickets to see any movies of choice at any session at the Cooma Twin Cinema or Jindabyne Cinema. Big movies on the BIG screens and now in digital projection with Dolby digital sound. All on-lines purchases will be posted to the address shown in the cart checkout.